The 38th Acomb Methodist Brownies meet weekly. (Brownie rules mean you have to contact them to find out when!) The group is over fifty strong, and run by Sarah Stone (01904) 792832 and Janette Strodder and their team. 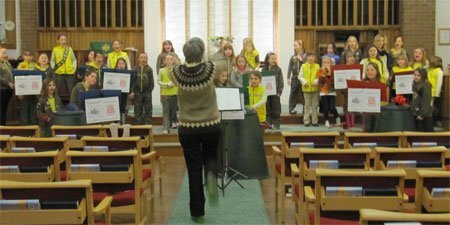 The brownies and their parents join us formally for our family focused time of worship on the 2nd Sunday of each month, and many also worship with us each week, and join us for our junior church.